Women: The Economic Saviors of Japan? Abe’s plans for womenomics is likely to run into some stubborn realities. Gender balancing in business is no longer the exclusive agenda of women’s right activists in Japan; it now has the full attention of the Japanese government. To counter the country’s aging workforce and flaccid economy, Japanese Prime Minister Shinzo Abe hopes to encourage women to enter the workforce, declaring, “If these women rise up, I believe Japan can achieve strong growth.” Specifically, not only is Abe aiming to increase number of women in business, he is planning to empower women in the workforce, with a target of at least 30 percent of managerial posts to be held by women by 2020. Indeed, Japanese companies seem to drive women away by imposing a rigid glass ceiling in business. However, is including the gender issue in government policies – by offering financial incentives for companies to recruit and promote women in the Japanese business – an efficient way to both revitalize the sagging economy and unleash women’s business potential? Not necessarily. In fact, some challenges will undercut these “womenomics” goals. The most recent statistics from the World Bank have Japan’s female labor force participation rate at 48 percent, far lower than the levels in other developed countries. Two factors explain much of this. First, it is nigh on impossible for women to balance their traditional role as caregiver in the home with employment in a demanding Japanese working environment. Work in Japan usually entails long working hours, which often stretch late into the evening, and the impossibility of taking career breaks. Once women take maternity leave, it is hard for them to return to their original jobs – only 38 percent of Japanese women return to their jobs after having their first baby. Instead, many women who choose to return to work enter part-time or temporary jobs with low pay and little security. Second, the Japanese “bamboo ceiling” limits career development for women. This ceiling has been described as a “thick, hard and not even transparent” constraint on women’s promotion in business. Women represent only 1 percent of executive committee members in Japan, according to a McKinsey report, compared to 9 percent in China and Taiwan and 15 percent in Singapore. As part of his programs for invigorating the economy, Abe has announce plans to promote “womenomics,” a series of initiatives aimed at encouraging women to join the workforce and boost the nation’s flagging economy. The thinking is that this plan would expand the workforce, which is shrinking with an aging population and a low birth rate, while simultaneously achieving gender balance in the workplace. However, Abe’s has some challenges to overcome, not least entrenched corporate practices and traditional gender roles in society. For instance, Abe believes women would benefit from a plan to extend maternity leave to three years – offering a better balance between work and parenting. Yet female workers and their employees are not convinced. Pointing to household realities and child development, some argue that prolonging maternity leave to three years, rather than the 18 months under existing law, would not only increase the financial burden on households with children, it would also deprive children of early opportunities for social interaction. For business, the concern is that women would lose their skills after a three-year absence, requiring burdensome training. Others argue that priority should be given to the families waitlisted for day-care centers. In fact, Abe recently announced plans to provide more day-care centers. That will certainly help, although it would still leave Japan with the need to overcome traditional views of gender roles. Another initiative to encourage women in the workforce is Abe’s target of having women occupy 30 percent of executive positions by 2020. Leaving aside the question of whether this target is even realistic – women currently fill only about 7.5 percent of management slots – the target raises its own concerns. If there is a perception that women are being promoted as part of some sort of affirmative action, then that could encourage its own form of more subtle discrimination. 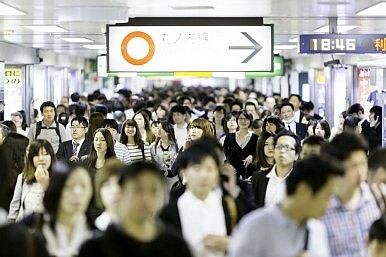 The Japanese government is quite right to address the country’s dismal performance on gender equality. But rather than imposing unrealistic targets, which at any rate lack detail and enforcement, it should engage with the corporate sector, workers, and women’s right advocates to produce a more comprehensive and detailed set of measures that would enable women to work and advance on their merits. Surely that would be the greatest boon to the economy. Emily S Chen is a graduate student in the Center for East Asian Studies at Stanford University with a focus on international relations.